The wind instrumentalist embouchure is probably one of the most demanding tasks that occurs during their musical performance. It is important to quantify the forces that are applied during the wind instrumentalist embouchure on the perioral structures. Quantify the force on the perioral structures involved during the embouchure mechanism of wind instrumentalists. Piezoresistive sensors of FlexiForceTM were placed on the mouthpiece of 28 different wind instrumentalists, in order to obtain the applied forces transmitted to the upper lip or the lower lip. The application of the sensors were done according to the particular characteristics of the different types of wind instruments, single reed, double reed or metal. Each participant performed three times three different notes at different pitches: high, medium and low. The average medium and maximum pressure was obtained from the nine essays. The sensors were connected to a data acquisition board from National Instruments and the results displayed in LabVIEW 2011. Measurement values were obtained for the different groups of wind instruments. In an ascending order, the pressures registered where for the bassoon (6g-31g), the oboe (17g-125g), the saxophone (39g-120g), the clarinet (54g-106g), the trumpet, (63g-172g), the bisel flute (73g-245g), the French horn (56g-305g), the transversal flute (220g-305g) and the trombone (201g-325g). Metal instrumentalists seem to apply greater forces than woodwind musicians when performing the embouchure mechanism, being in this specific case the trombone the instrument from the metal group to exert more force, while on the contrary, the bassoon registered the lower values. 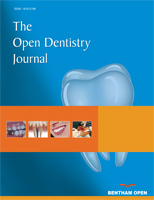 Keywords: Embouchure, Piezoresistive sensors, Perioral pressure, Wind instrumentalists, Dentistry, Musculoskeletal system. © 2019 Clemente et al.